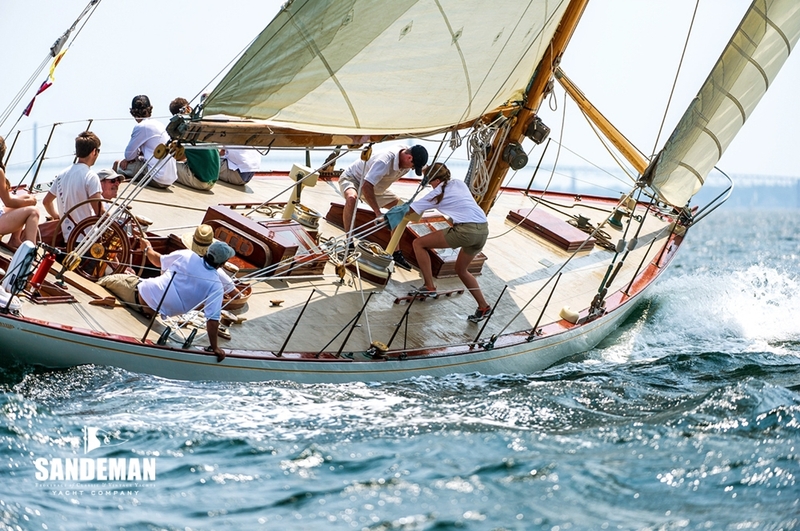 The America's Cup class 12 Metre, GLEAM was built in 1937, a time when rare mahoganies were hand selected and craftsmanship was at an all time high. 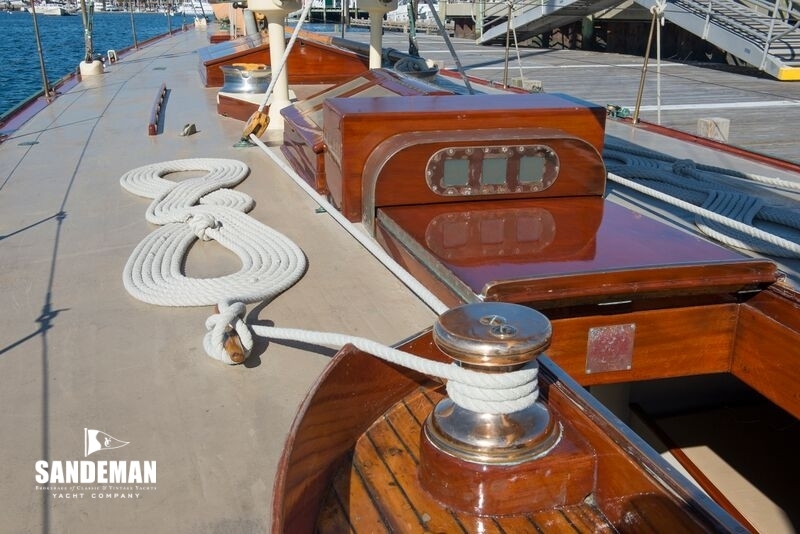 More than just a Twelve Metre, GLEAM is hailed by yachtsmen as the grande dame of the fleet, having been painstakingly restored - and she has been maintained by the same family for more than 40 years. 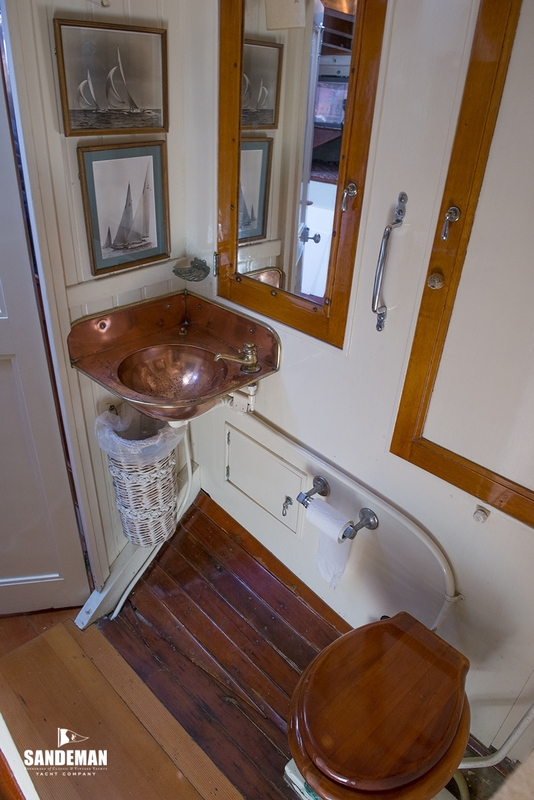 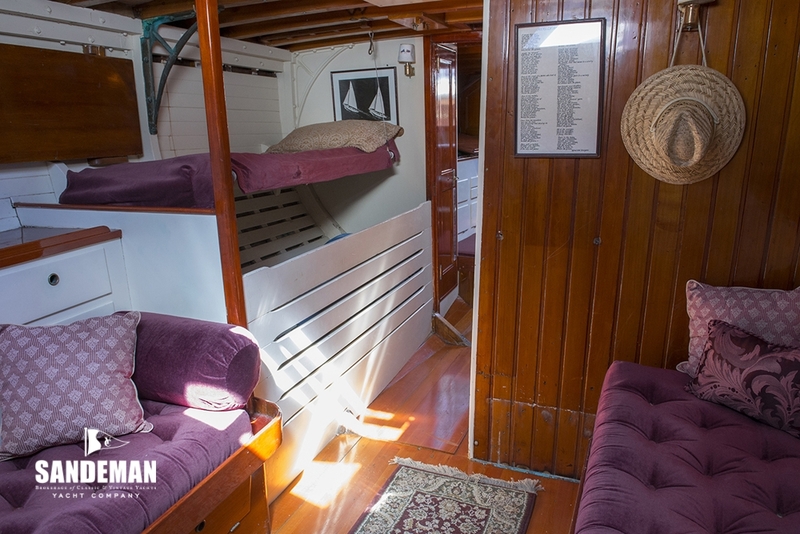 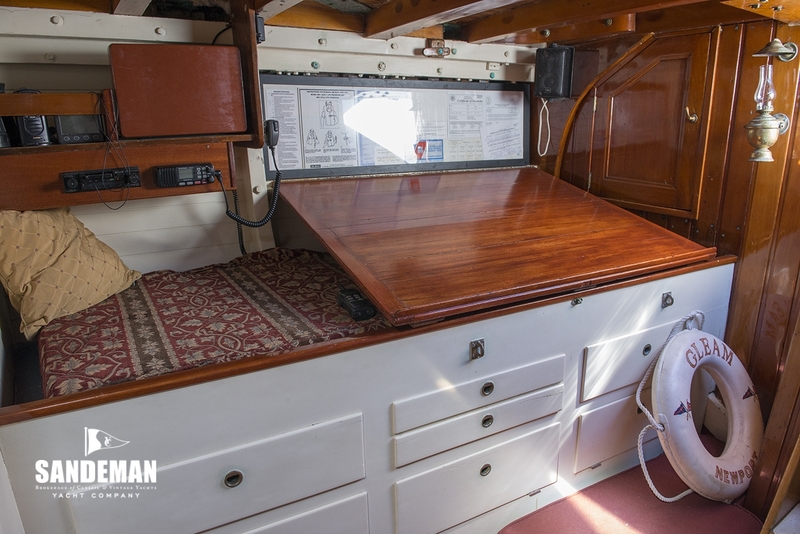 GLEAM has her original fully appointed interior offering comfort for all guests with ample seating, a galley and an enclosed private head complete with a copper basin. 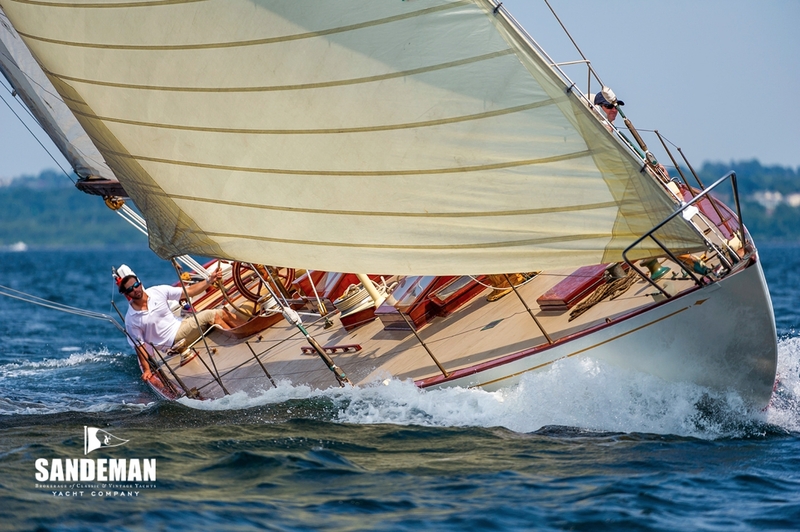 She has never stopped winning races since she was built and often beats the more recent classic 12s. 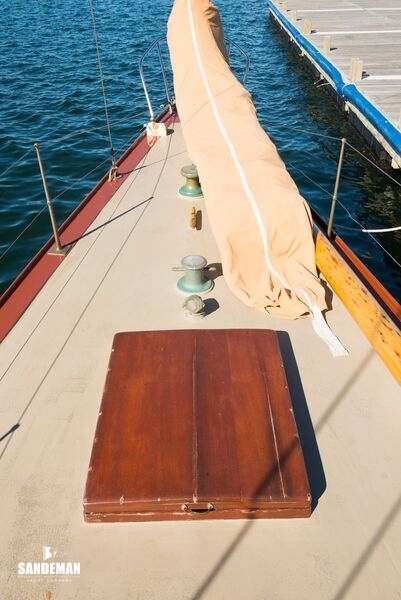 Realistic offers will be properly considered. 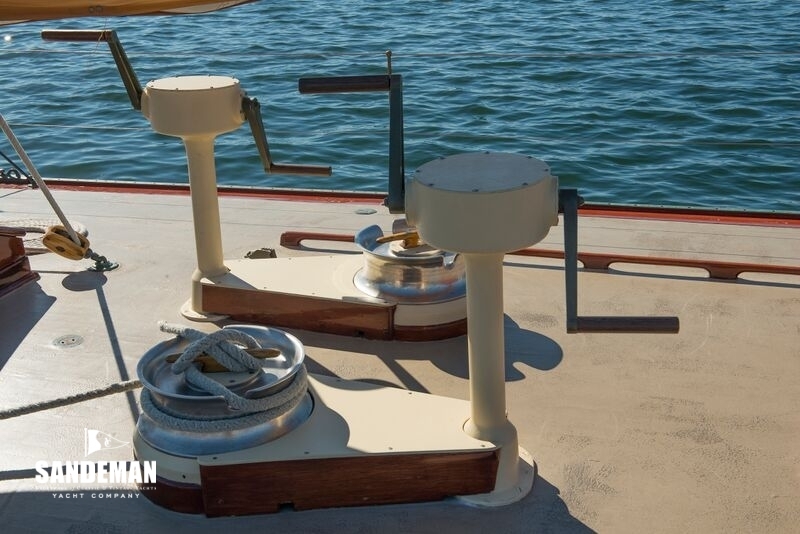 Crane designed her using the then innovative concept of tank testing and was tested against a model of SEVEN SEAS. 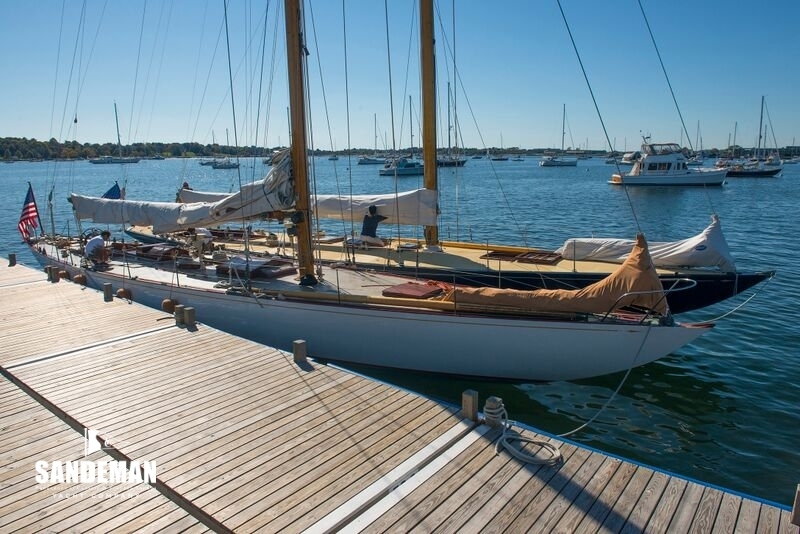 Crane made his studies available both to Olin Stephens and Francis Herreshoff - but only the former accepted. 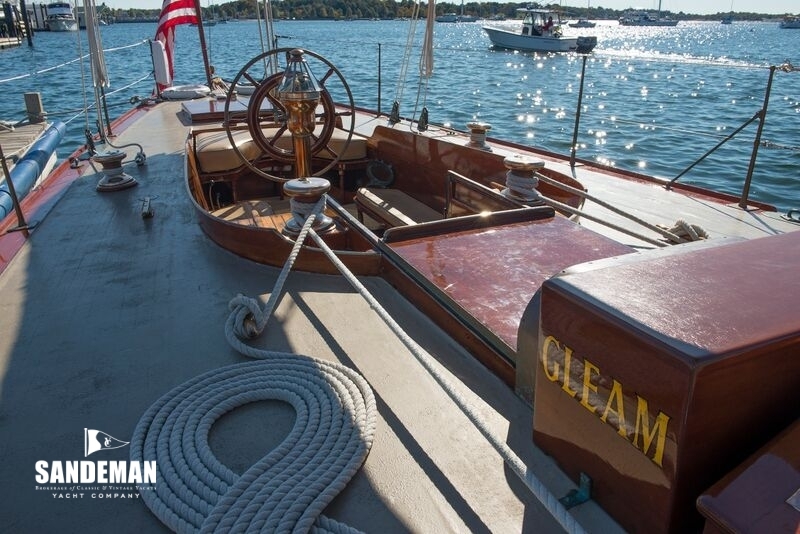 GLEAM proved influential in the development of the Twelve Metre class in the United States and for its eventual use in the America's Cup. 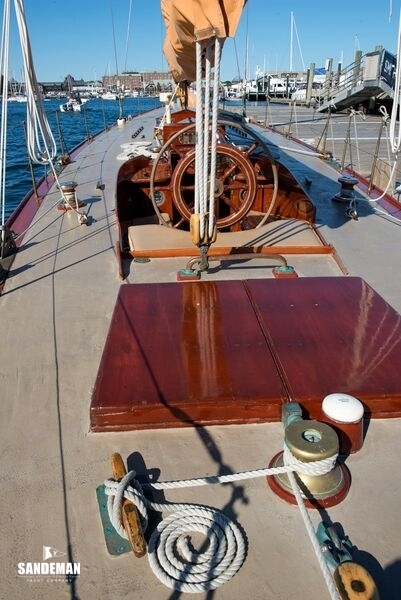 She was loaned to many notable yachtsmen including Briggs Cunningham, Lee Loomis and Harold Vanderbilt, who so enjoyed the experience, they each went out and built their own Twelve Metres to join the class. 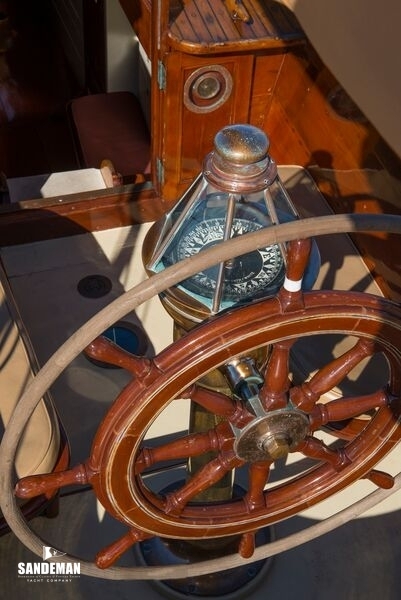 When America's Cup racing resumed after the war, the Twelve Metre class was chosen for the competition largely because of Vanderbilt's success with his Twelve in England during 1939. 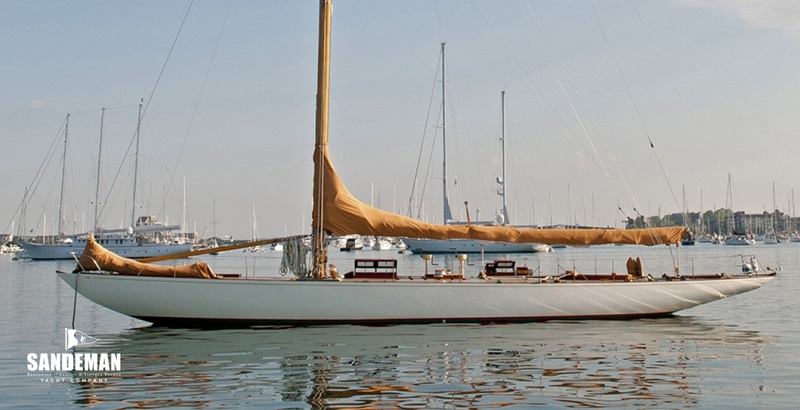 During the 1958 America's Cup, GLEAM had the unique distinction of serving as a trial horse for both the defence candidate, VIM, and the challenger SCEPTRE. 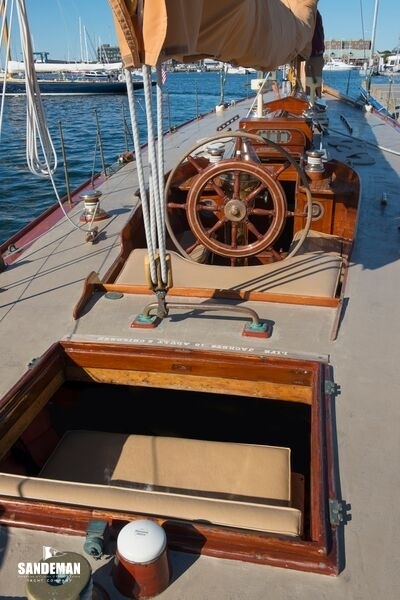 She then went on to compile an impressive race record under the ownership of the Commodore of the New York Yacht Club. 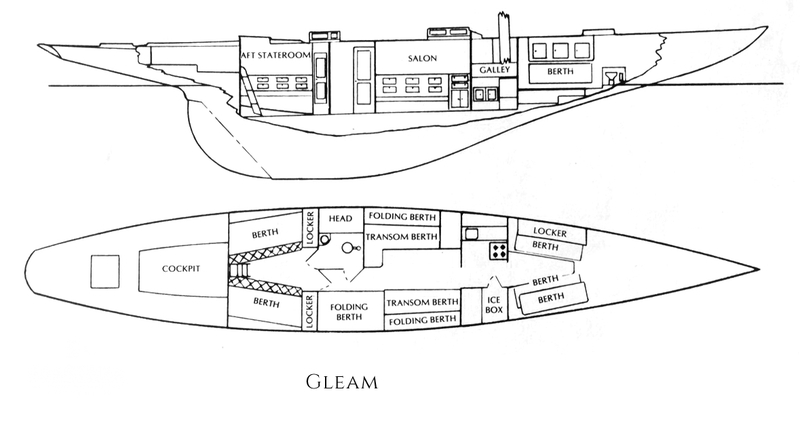 In 1975, GLEAM pioneered the concept of chartering a Twelve with the late Bob Tiedemann. 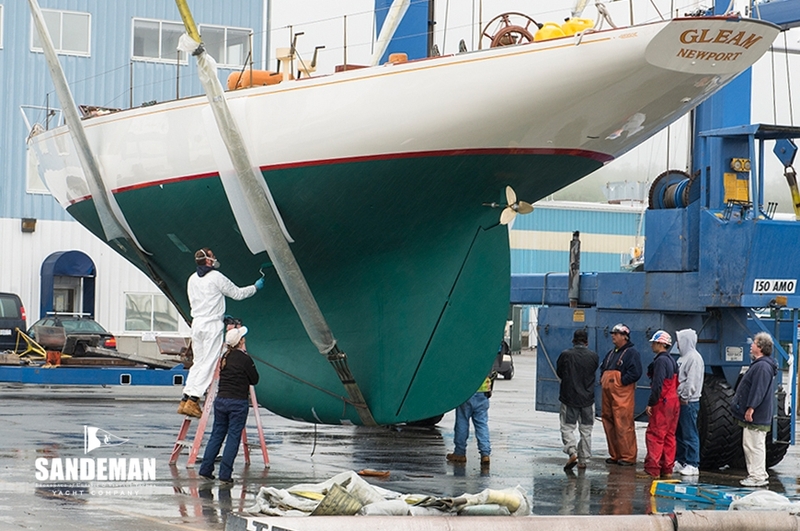 The success and admiration of his program has created a second revival and raison d'être for this America's Cup class. 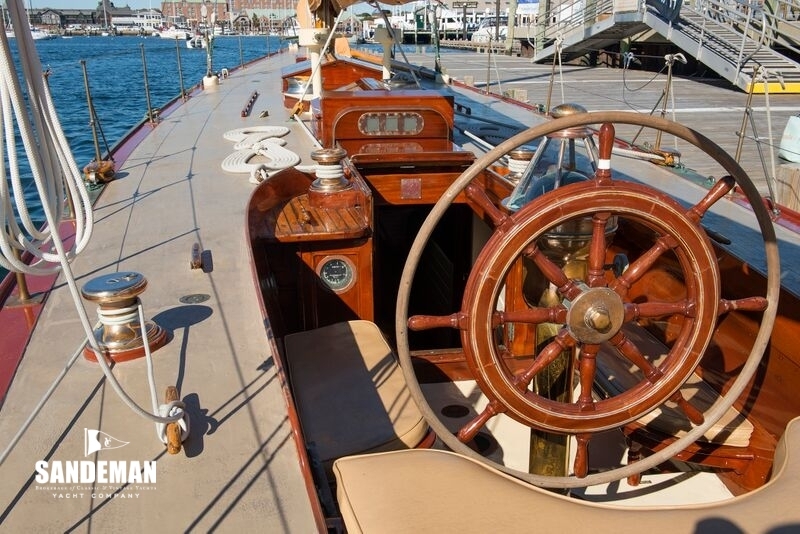 GLEAM has been featured on Lifestyles of the Rich and Famous, The Discovery Channel and PBS. 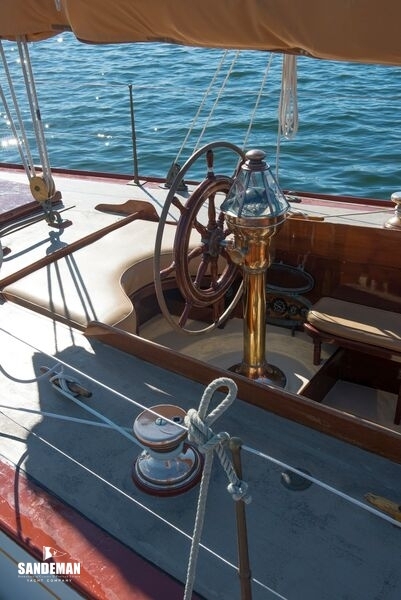 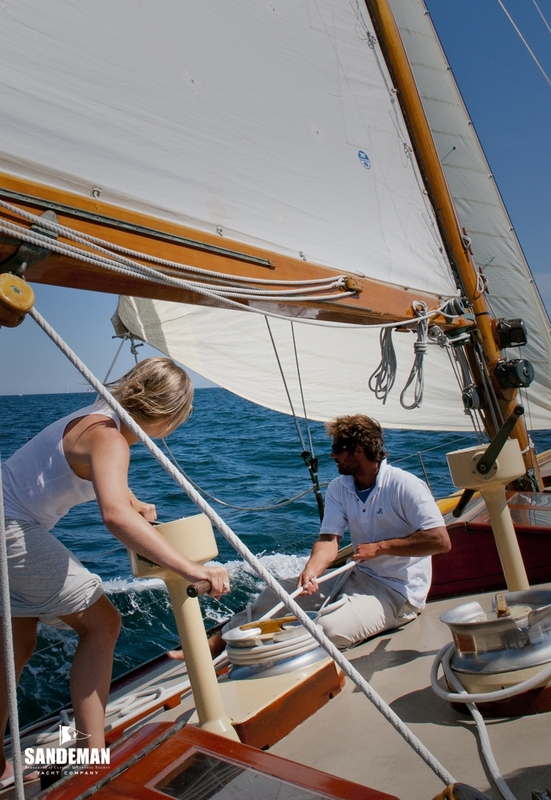 She has also graced the pages of countless magazines such as Town and Country, Woodenboat, Sailing World, Classic Boat and Yachting World, just to name a few. 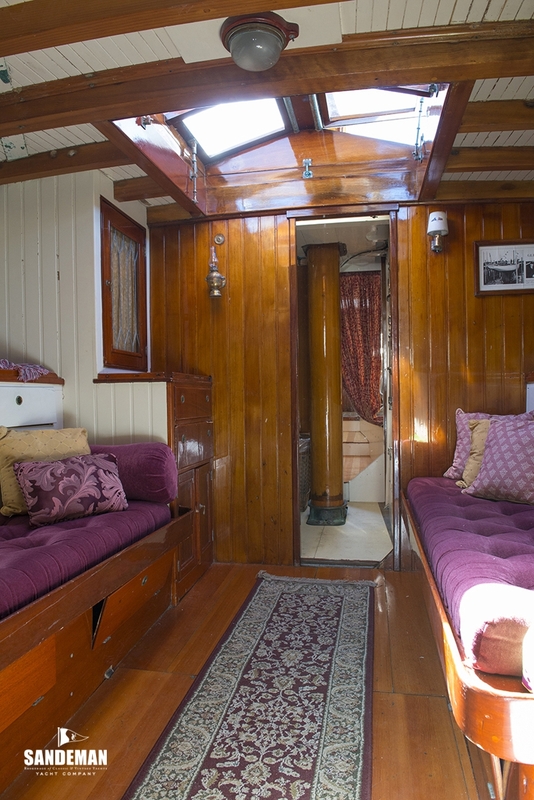 Her interior was selected to appear in the book Classic Yacht Interiors. 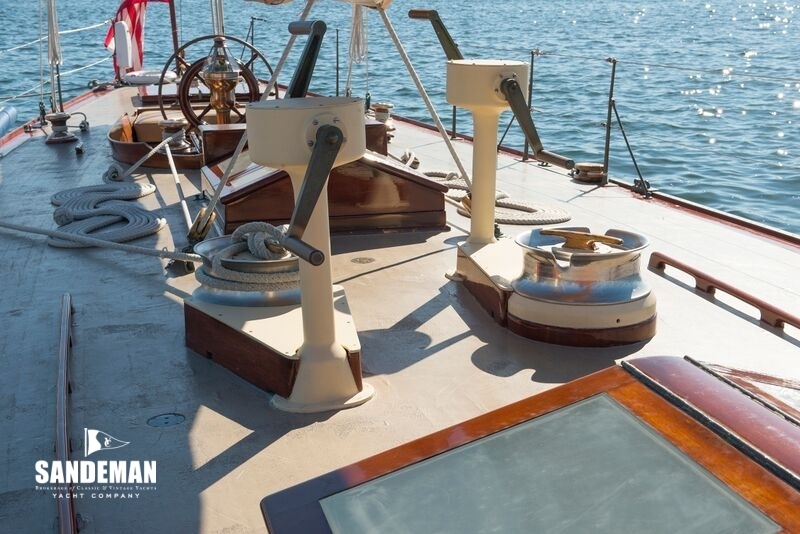 The late Bob Tiedemann was only 27 years old when he decided to buy GLEAM and charter her. 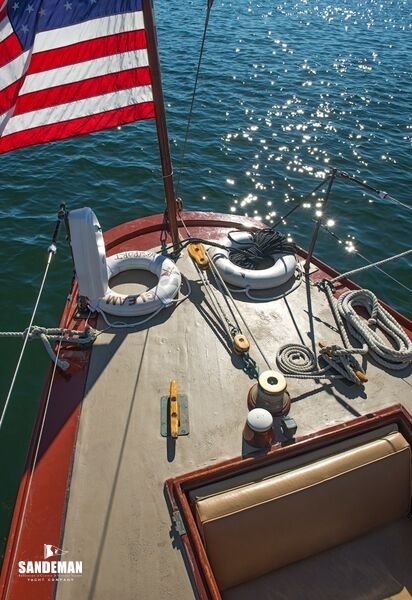 He was considered crazy as the charter business of the moment was looking for luxury and comfortable boats and not for thoroughbreds. 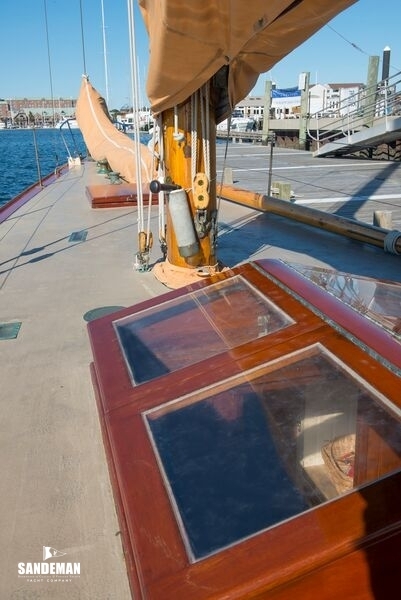 He was a successful pioneer however and the charter of racing Twelves started thanks to his initiative and his decision to transfer his activity from Greenwich to Newport, more easily identified with the Twelves and their presence in the America's Cup. 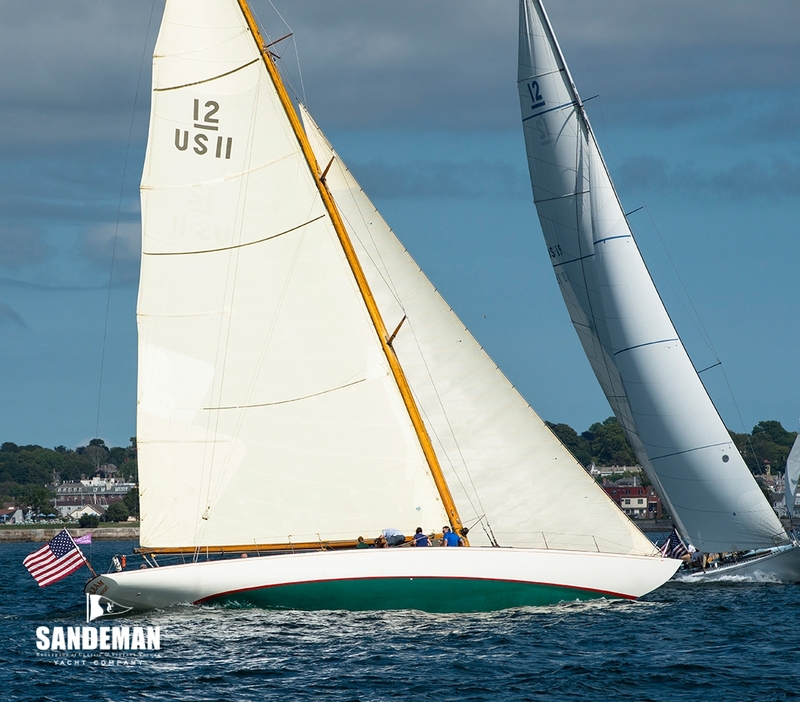 Her race record is legendary, including four first places and one second in the recent and prestigious New York Yacht Club sesquicentennial regatta and she is a three time winner of the prestigious Opera House Cup held annually in Nantucket, MA. 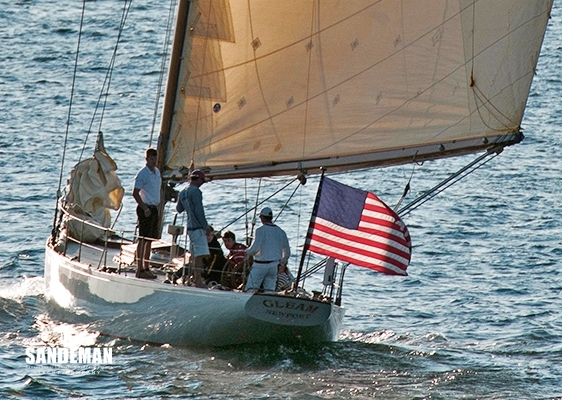 GLEAM was placed ninth in the classic division in 2001 during the World Championships in Cowes. 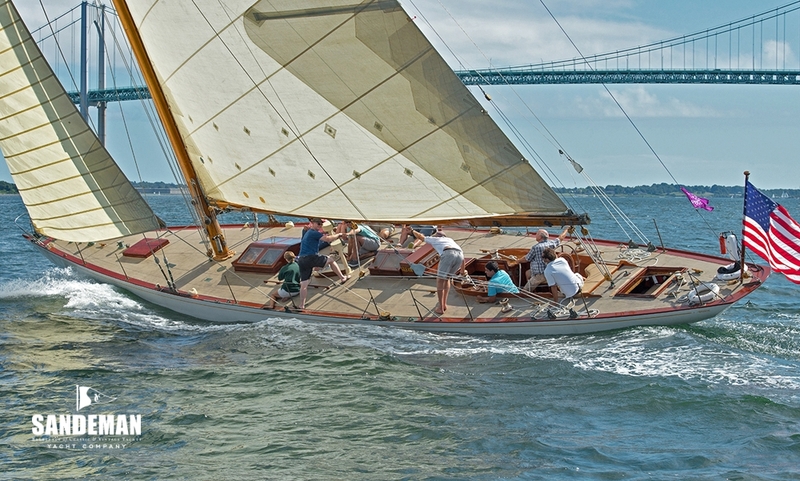 She took second in the Classic Vintage division of 2005 in Newport and was the winner of the Vintage division during the 2009 World Championships also in Newport. 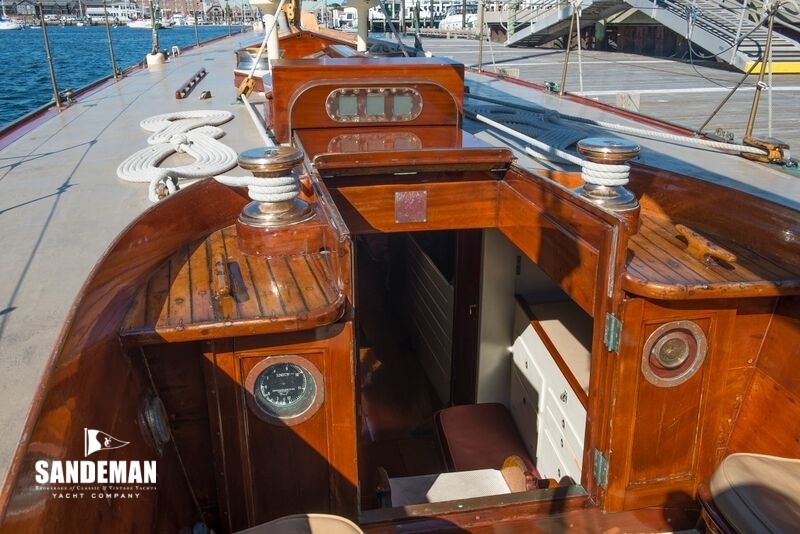 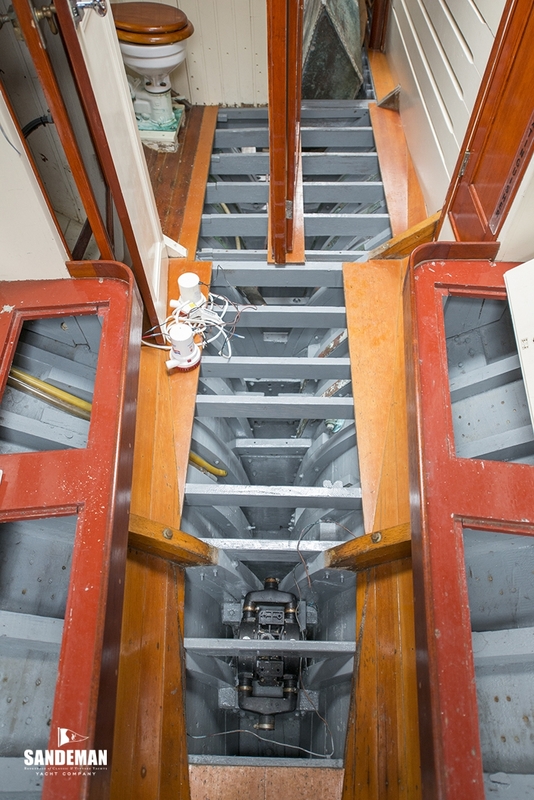 Gleam is probably the only 12 Metre in the world that has never been restored but maintained through her 78 years. 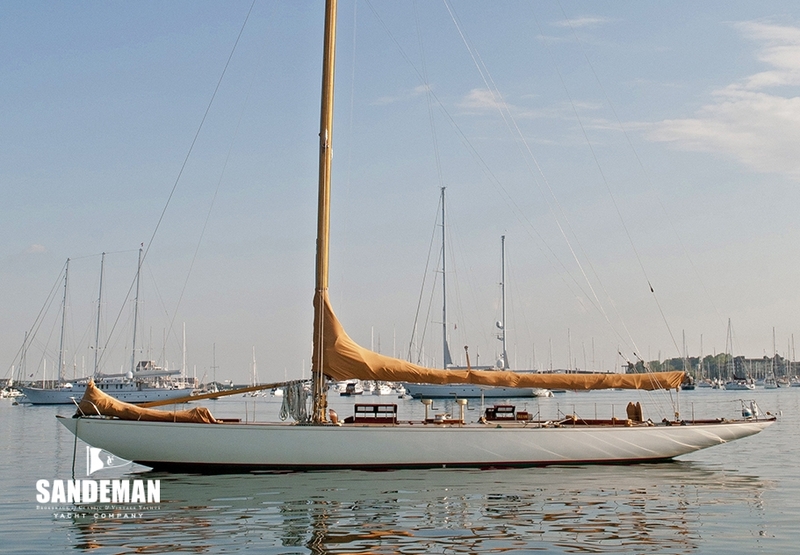 She has not been on the market or for sale for 40 years since the late Bob Tiedemann bought her back in 1975. 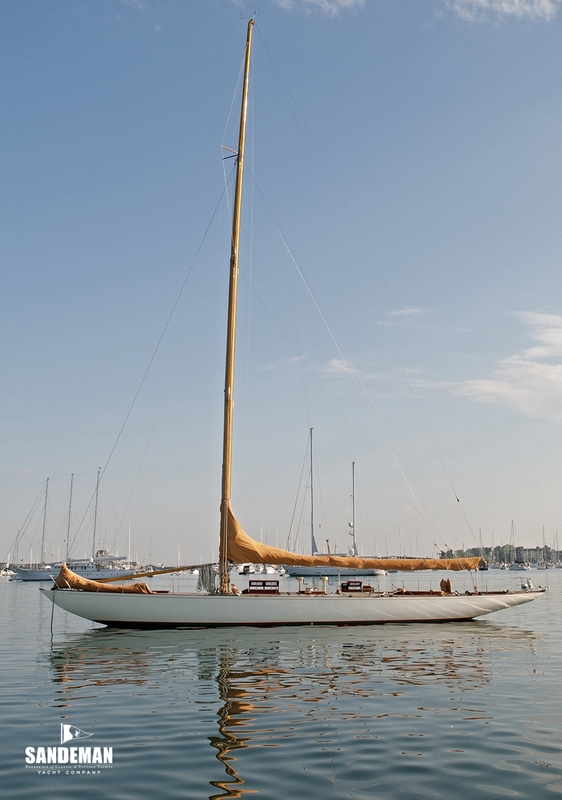 Her history is rich as she was the reason for the 12 Metre class being chosen for the America's Cup class in 1958 – and the reason why NORTHERN LIGHT was built in 1938. 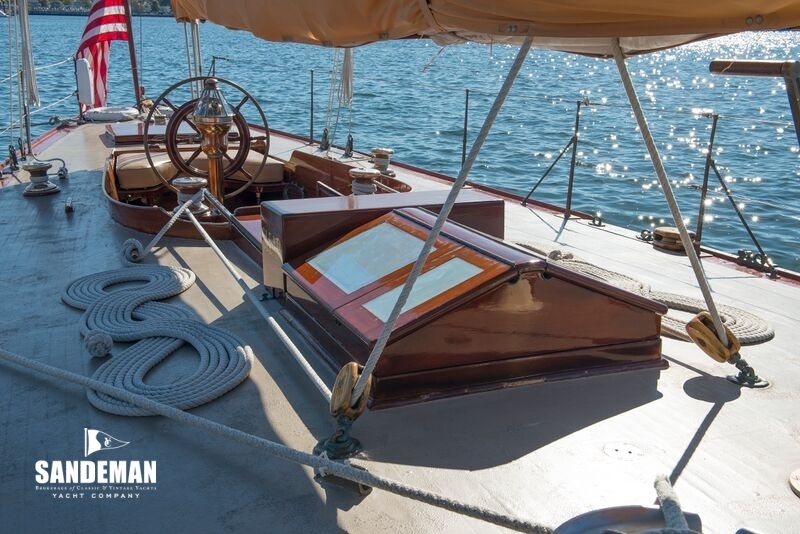 She is USCG certified for 13 day passengers and 3 crew. 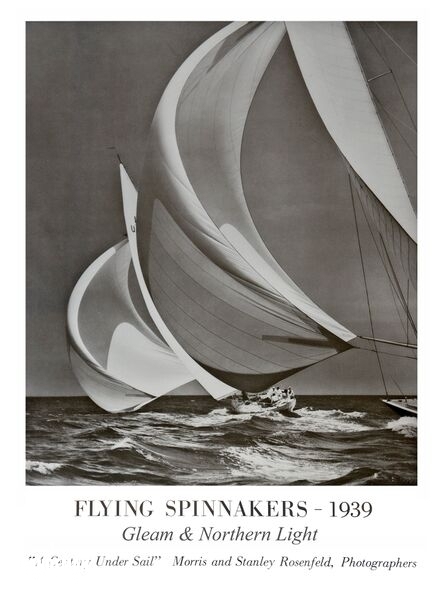 GLEAM is one of the 12s featured in the famous historic Rosenfeld image, “Flying Spinnakers” taken in 1939. 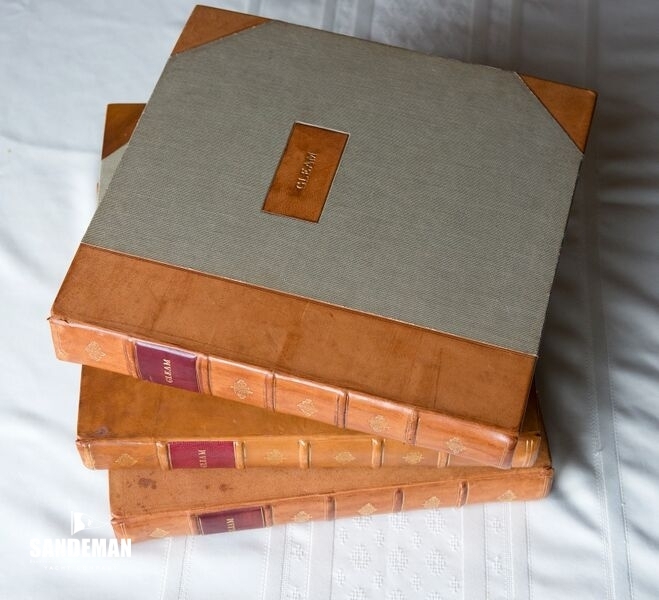 The owner has several volumes of scrapbooks and the original blue print plans. 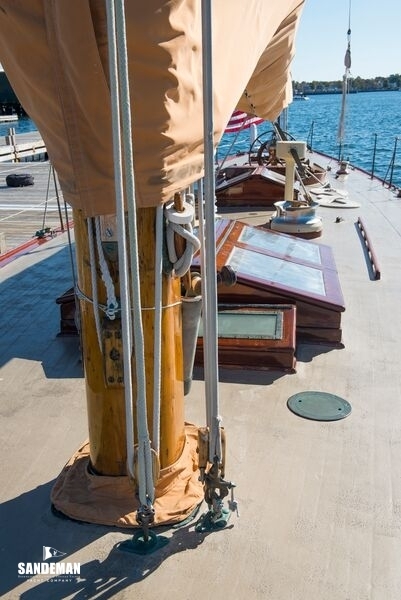 Mast broken again in 1967 replaced with a copy of VIM's mast.